Are you afraid of the dark? This Natural Dark Moon Labradorite honors the Dark Moon – the very beginning of the Moon’s cycle. Though the sky is black at this time, it’s electrified with the power of possibility. Under this lunar phase, we set our intentions for the weeks ahead. 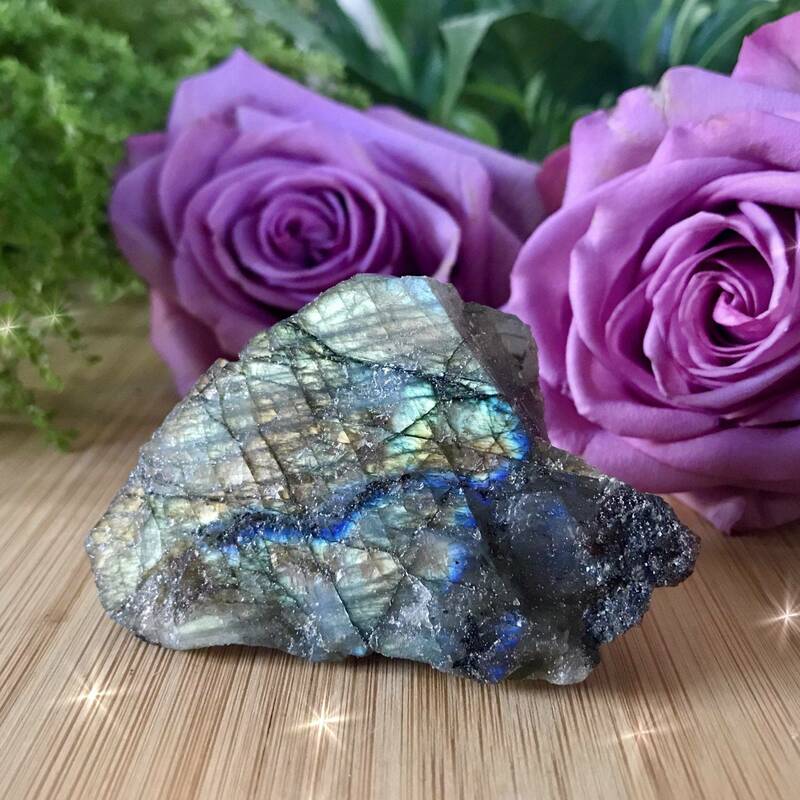 Work with this Natural Dark Moon Labradorite as you visualize all that you wish to bring to life; allow it to empower your visions as they make their way into reality! To add to the enchantment, your labradorite gem will come with a free bottle of my Deep and Dark Perfume, a fragrance designed to connect you with your elders and guides. 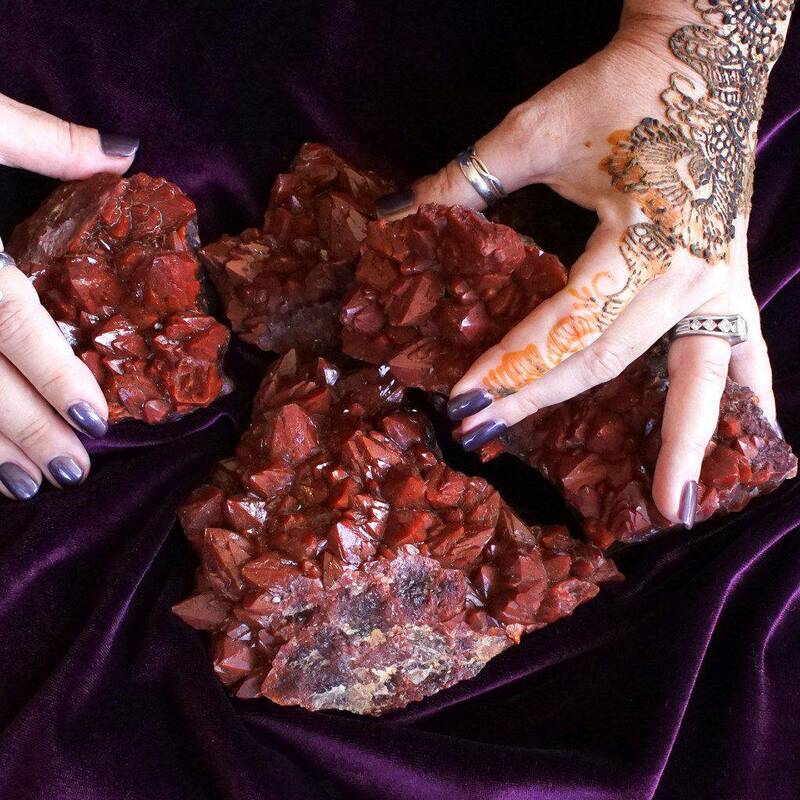 Anoint yourself and your gemstone with this potion to deepen the magic of this offering. Labradorite is a sacred stone of new beginnings, transformation, and divine guidance. It activates the Third Eye – your center of intuition, insight, and spiritual wisdom. This iridescent gem is used often in astral travel, dream work, and divination. 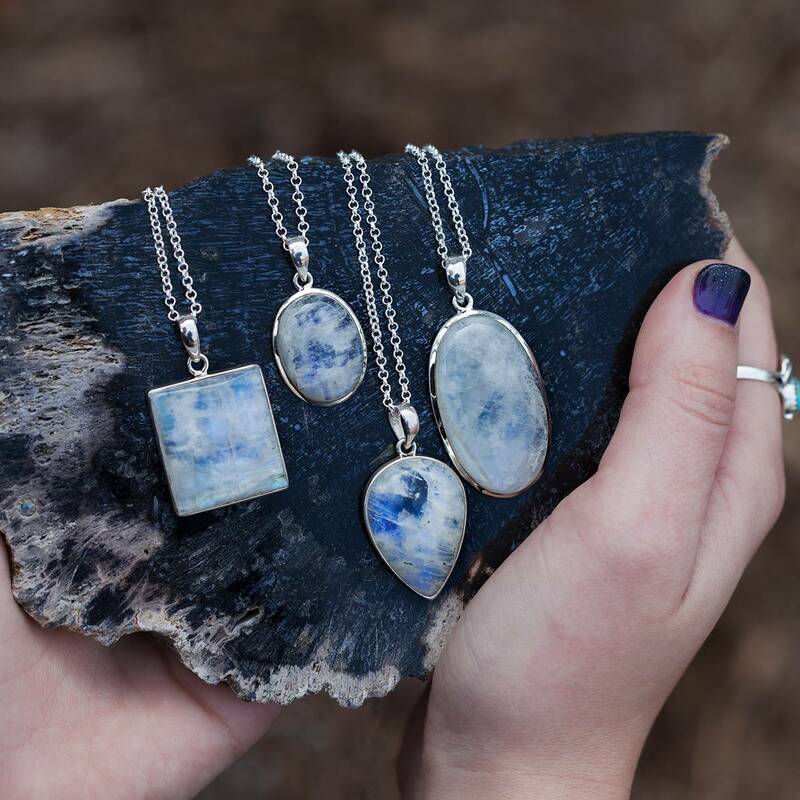 Like the Hermit in the Tarot, labradorite illuminates the light within you, helping you see your way through challenges as you walk your soul path. Wear your gemstone as sacred adornment by having it wire-wrapped. 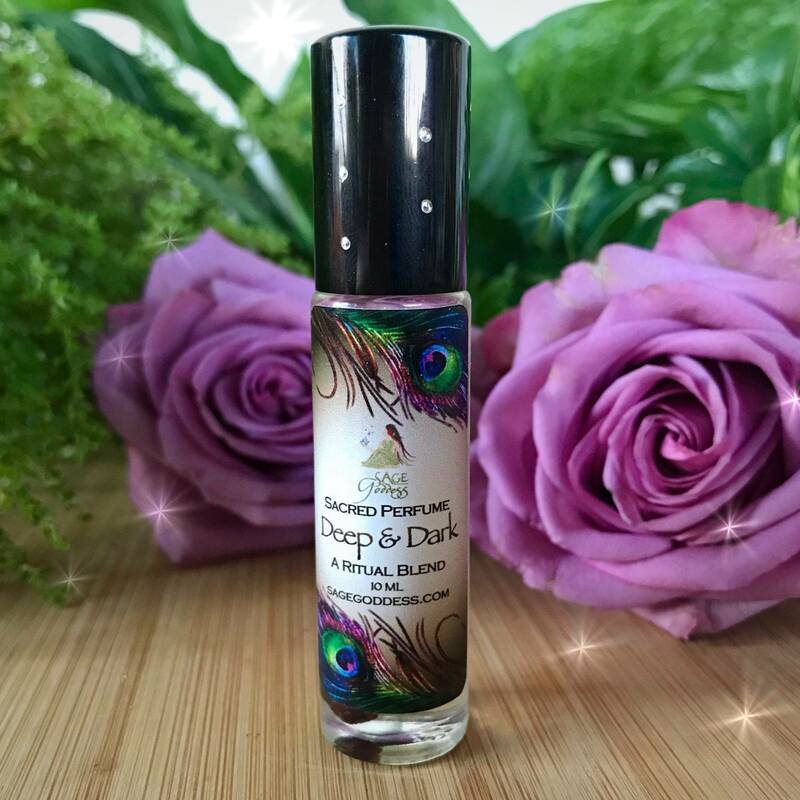 Deep and Dark Perfume is a blend of sage, patchouli, and other oils and resins that are both potent and ancient. 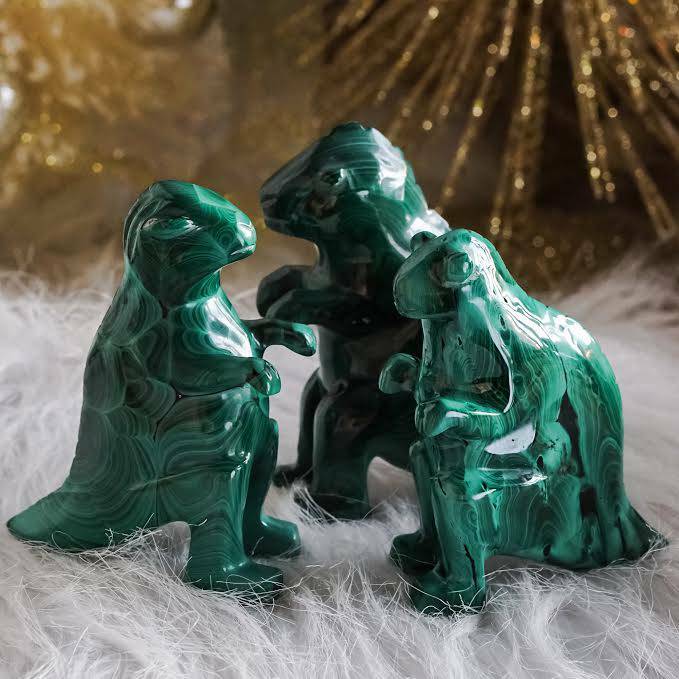 It attracts your elders and spirit guides while keeping you grounded and stable. 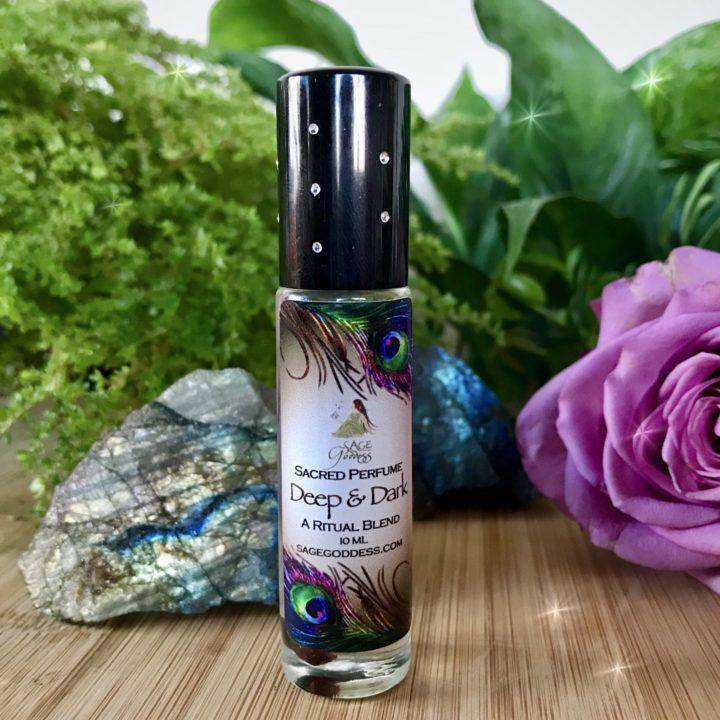 Anoint yourself with this fragrance to deepen meditation, expand your consciousness, and embark on a journey of exploration and divine wisdom. This listing is for one (1) Natural Dark Moon Labradorite (about 2-3”) with one (1) 10 ml bottle of Deep and Dark Perfume. Yours will arrive lovingly parceled along with a single leaf of white sage and a card describing the properties of the stone.